2 Bed And Breakfasts in Castle Donington. Choose from 2 bed and breakfast / guest houses in Castle Donington. Shown below a just a selection of the B&B accommodation available. To search within an area please use the menu on the right. Morton Guesthouse - This family-run guest house is 3 miles (4.8 km) from East Midlands Airport, 1.7 miles (2.7 km) from Donington Race Track and 20 minutes from Alton Towers. Morton Guesthouse is a non-smoking, pet-friendly hotel, and offers good-value accommodation. Breakfast will set you up for the day, with house specials on the table every morning. Enjoy homemade brown bread and honey from the hotel's hives. Dietary needs and vegetarians can be catered for. 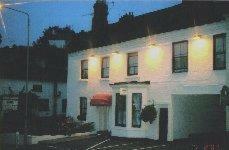 The Hardinge Arms - In Kings Newton village, The Hardinge offers free Wi-Fi and charming rooms with flat-screen TVs. This traditional inn serves real ales, while the restaurant serves home-cooked food and local produce. Full of character, the en suite rooms at The Hardinge Arms have tea/coffee facilities and hairdryers. A generous full English breakfast is provided and there is free private parking. Friendly and welcoming, The Hardinge Arms features original oak beams, log-burning fires and comfortable sofas. Nottingham East Midlands Airport is just 4 miles away and Donington Racetrack is nearby. Derby city centre is 10 km away.